Double Kick Heroes is an explosive Rhythm Shooter featuring loads of sweet sweet METAL! Lead your band on an explosive road trip through the wasteland, blast zombies with your groove and crush them with the power of your music. 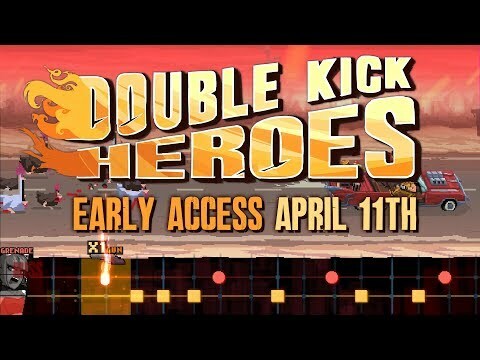 Double Kick Heroes was released on PC (Early Access) 380d ago in the US and the UK. The upcoming Double Kick Heroes Switch release date is expected to be Q3 2019 in the US and the UK. Notify me when Double Kick Heroes is available.